616 units being sold in August outpacing the 534 units launched in the same month, shows that new home sales momentum remains upbeat despite sales slump. Data released by the Urban Redevelopment Authority (URA) today showed that excluding executive condominiums (EC), developers sold 616 units in August, which is a drop of 50.6 per cent year-on-year. The new home sales is about half of the 1,246 units sold in the same month in 2017. On a month-to-month basis, August saw a new home sales drop by 64.3 per cent from the 1,724 homes sold in July this year. Property analysts had earlier said that the July new home sales were an anomaly as several deals were closed before the new property cooling measures kicked in. Including ECs, 639 units were transacted in August, which is a steep drop when compared month-to-month and year-to-year. In comparison, 1,587 units were sold in August 2017 and 1,776 homes were transacted in July this year. Analysts said that despite the lower numbers, new home sales momentum remains upbeat in Singapore as considering the Hungry Ghost Festival, August has always traditionally been a quiet month for new home sales. Analysts further added that although August recorded the lowest number of transactions of private new homes (excluding EC) in the last six months, new home sales momentum does not show an indication of dampening because only 534 new units were launched in August – compared to the five-year high of 2,239 in July. Also, no new ECs were launched last month. Other stakeholders were less upbeat about the latest new home sales momentum. Orange Tee noted that “while August is traditionally slower for sales and launches”, August 2018’s numbers are a stark contrast to the same period last year where “794 new homes were launched and 1,246 units were sold.” The real estate services company believes that the new home sales data shows that the property cooling measures are starting to take “a significant toll” on private home demand. Cushman & Wakefield predicted in July that the new property cooling measure’s impact will only be felt in August 2018. Citing a survey by the Urban Redevelopment Authority which showed that 654 private homes were sold by developers in June, Cushman & Wakefield said new property cooling measure impact will only be felt in August 2018. The survey said that sales of private residential units in June were down 41.7 per cent from May’s sales of 1,122 units. The real estate services agency noted that new property cooling measure impact will only be seen in August, as sales are hit by a double whammy; market slowdown due to cooling measures and the hungry ghost festival which starts in mid Aug to early Sept, when buyers tend to avoid buying property. It predicted that August sales could potentially fall by around 40 – 50 per cent from July’s sales as the market adjusts to the new property cooling measure’s impact. Nonetheless, new home sales momentum will largely remain upbeat as market fundamentals remain unchanged, noted Cushman & Wakefield. Although geopolitical tensions and the new property cooling measure impact have injected some uncertainty into the market, the property market is still positioned for growth, it said. Adding, Singapore’s economic outlook remains firm and Singapore aggregated household balances remain healthy and flush with cash. Furthermore, downside risks remains relatively low due to current new property cooling measure impact and loan curbs. Despite a higher barrier of entry, the value proposition of the Singapore residential sector remains attractive. 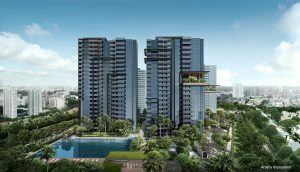 Noting the new private home launches of Mayfair Gardens and JadeScape, PropNex CEO Ismail Gafoor suggested that sales volume will rebound in September. “It is understandable that August performance is slower as it is the first month right after the cooling measures were implemented, with buyers and investors still trying to understand and ‘digest’ the effects of future pricing,” he said. Mr Ismail predicted new home sales to hit more than 800 units next month. Do you want a piece of the action of the new home sales momentum but are ensure of funds availability for purchase? Don’t worry because iCompareLoan mortgage broker can set you up on a path that can get you a home loan in a quick and seamless manner.